Joel Christian Gill is the Chair of Foundations at the New Hampshire Institute of Art and recipient of the 2016 Boston University College of Fine Arts Alumni Award. He wrote the words and drew the pictures in Strange Fruit, Volume I: Uncelebrated Narratives from Black History and Bass Reeves: Tales of the Talented Tenth, No. 1. John Jennings is a Professor of Media and Cultural Studies at the University of California at Riverside. His work centers around intersectional narratives regarding identity politics and popular media. 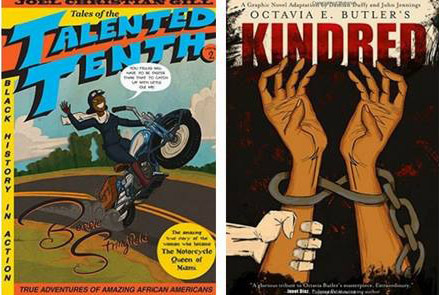 Jennings is co-editor of the Eisner Award–winning collection The Blacker the Ink: Constructions of Black Identity in Comics and Sequential Art and the illustrator for the graphic novel adaptation of Octavia Butler’s classic dark fantasy novel Kindred. 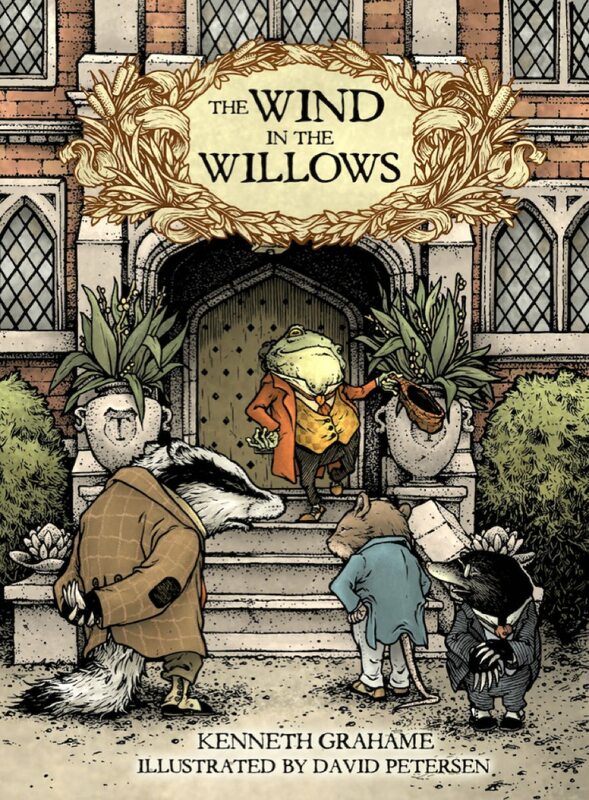 David Petersen of Mouse Guard spot illustrates this new release of Kenneth Grahame’s Wind In The Willows. Available this week! Harvard Book Store and the Hutchins Center for African & African American Research welcome JOEL CHRISTIAN GILL, JOHN JENNINGS, and MILDRED LOUIS for a panel discussion on gender and color in comics, followed by a book signing. We are changing our hours slightly this winter, as we well now be closing at 9pm on Saturdays, as opposed to 10pm.